Home » Mommyhood » A Tickle Can Change the World! A Tickle Can Change the World! Time is so important to us, isn’t it?? It is limited and precious, and it passes by and we can’t get it back.. no wonder our kids thrive on getting those precious moments with us. I had this revelation today with Liza. We had a long night last night with her waking up at one in the morning wide awake, hungry, and ready to go.. and it wasn’t until two hours later that she finally fell back asleep. So, of course when morning came back around I was super tired and she was kinda cranky, and the last thing I wanted to do was entertain her. Well, as the morning progressed, with some nick jr and disney, things began to go downhill. Lately, she’s been acting more rebellious with screaming, saying no to me, and throwing fits.. of course I credit this towards her turning two last month. So more time outs have to keep happening. But this morning was the ultimate.. let’s just say she was in time out for about 30 minutes straight. She would not tell me she was sorry for yelling at me.. and continued to scream at me every time I tried to talk with her about it. My sister Mitsi came home from dropping the kids at school and just looked at me with such pitty and gave me a hug. Sometimes a mom just needs a hug, huh?! Well.. eventually Liza finally decided to say sorry after I carried her to her bed kicking and screaming and told her she was going to have to sleep this off, which is not normally a route I would take but I was desperate. So, she came back out of timeout and Mitsi began playing a tickle her tummy game, chasing her around the house and doing some hide and seek along with it. Liza lit up with excitement and joy. It was amazing to watch and see how a little tickle and hide and seek time could bring such joy and really change her entire attitude. And being such an amazing sister, Mitsi took Liza to the store with her to get her out for a bit. This not only changed Liza’s attitude even more it helped with mine as well. Liza came back happy, I was a little refreshed, we had some Dr. Liza time and then a little dance party. The rest of the morning went a lot smoother without any rebellion even when I told her no to having a sucker and asking her to eat more bites of lunch. She even went straight up the stairs to her bed when I told her it was nap time. Now, I’m not saying that a little tickle time can solve all problems. But I see what I see and so far, spending that quality time is the best diagnosis I have found with all the kids in the house for changing behaviors. Sometimes they just need us to take some of that time that is so precious to us and spend it on them. We played a family baseball game one day after school for maybe 30 minutes and it was just amazing how the rest of the evening with chores and dinner and just the way they all interacted together was so much smoother. Mitsi and I had been busy doing a lot of house stuff which we all get caught up in and we just forget that we just need to take a moment and have some fun with the kiddos. It not only helps them but it helps us too.. we have fun! Remembering and getting that glimpse again of what it’s like to be free spirited as a kid, throwing, running, laughing, dancing, silliness. It just feels good! I mean, when you think about it, we all kinda want someone to take their precious time and spend it with us, right?! From parents to friends, husband and wife, boyfriend and girlfriend there is just nothing like spending that quality time, not just sitting together, but actually doing something together. I have no study or research to share with you on how this works but I have plenty of life experience to see and believe the truth in it all. So my prescription for those of you that feel like you may be in a slump, whether in your relationship, with friends, or with your kids.. get off the couch, or out of the kitchen, put the broom down, cancel that meeting, and go play! See what that one precious moment of time can do! It doesn’t have to be edible as long as it’s fun, right?! Ice cream always makes for a good time! Nothin like playing in the fall leaves!! We all fall down is the best played on a trampoline!! Need some help on getting that brain back into play mode?? Throw or kick a ball around Play hide and seek Play a game of freeze tag Climb a tree Play in the leaves Do cartwheels Raining outside?? Turn the tv off, put some fun music on and have a dance party and add some balloons in! Do a craft project and let it get messy Play doctor or kitchen or dress up Bake cookies and let the kids decorate them The options are endless.. and you’ll be amazed at how you will remember how to play if you just start doing it! 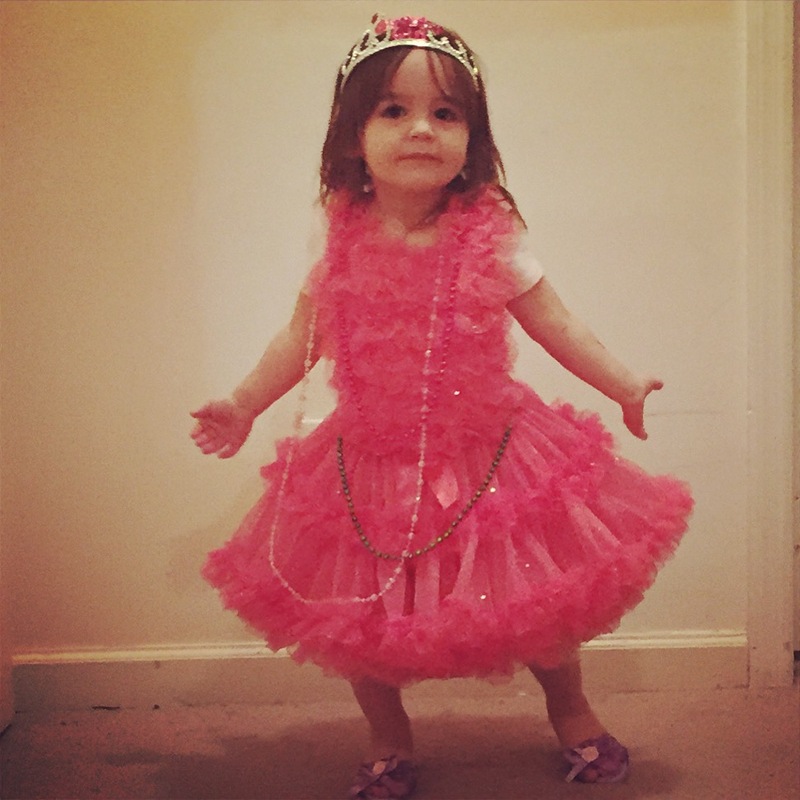 This entry was posted in Mommyhood and tagged dress up, family, kids, playing, quality time, terrible twos, tickle, time out, toddler. Bookmark the permalink. Beautifully written, Tammy! You’re an awesome mom.